London Entertainment Scene, Global E Gist, Anything & Everything!! Tickets can be bought via www.djabass.com or call numbers below for physical tickets to be posted out to you. 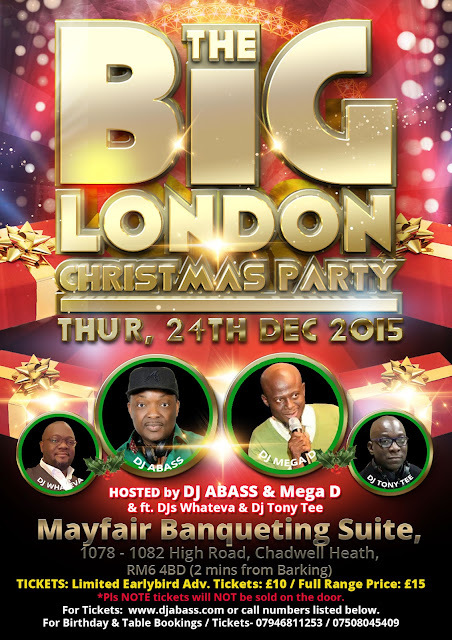 For guests coming from Manchester, Birmingham and from cities outside London who will be attending The BIG London Christmas Party 2015 with DJ ABASS & Mega-D, pls find below a list of hotels close-by with good rates. DJs near me or DJs near you, whatever do you want a DJ? DJ Required is one of the best DJ agencies in London. They have been set up by a mixed group of London s finest DJs. Do you want a DJ near you or a DJ in London Look no further! They have DJs available for you. 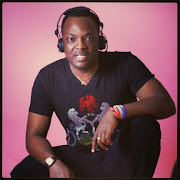 DJ ABASS. Simple theme. Powered by Blogger.